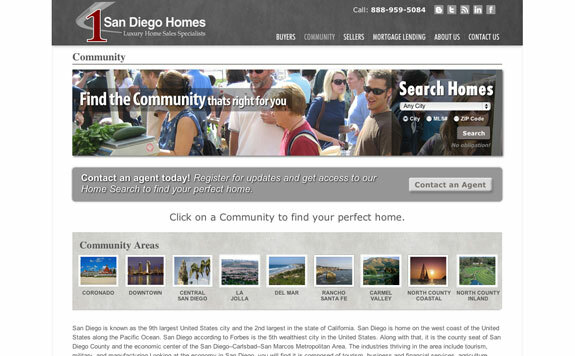 1San Diego Homes provides you with everything you need to buy or sell your next home. 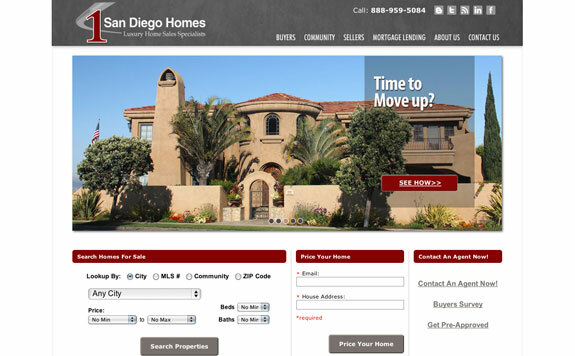 The 1SanDiegoHomes team is a small group dedicated to providing exceptional service. 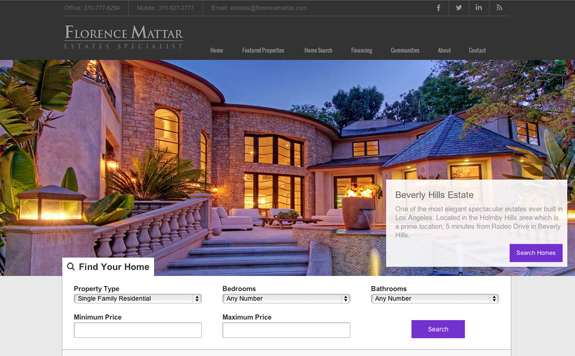 There are many qualities and skills that go into being an excellent real estate professional – integrity, in-depth community and market knowledge, being marketing savvy, having effective negotiation skills and a high-quality professional network, all of which are hallmarks of Florence Mattar works. 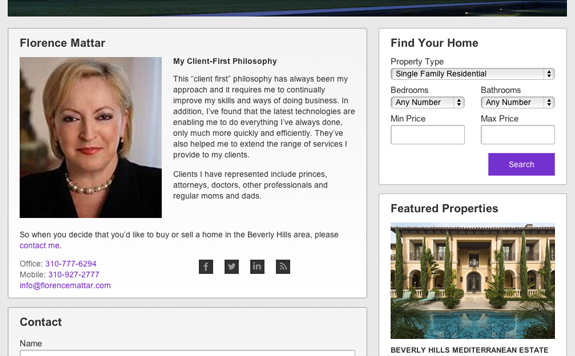 Florence has over 21 years of experience as a Beverly Hills real estate professional and is known for her "clients first" approach. 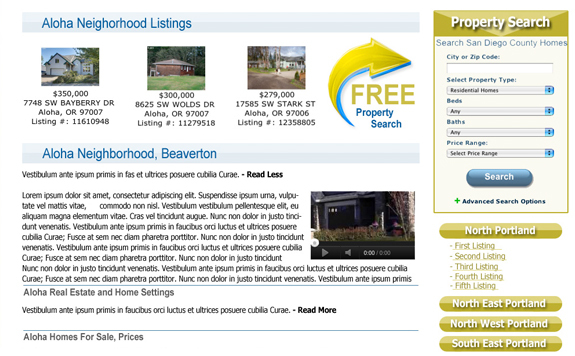 Florence makes herself accessible, serves as a good listener as well as a good communicator, and is a skilled negotiator that responds quickly to your needs. 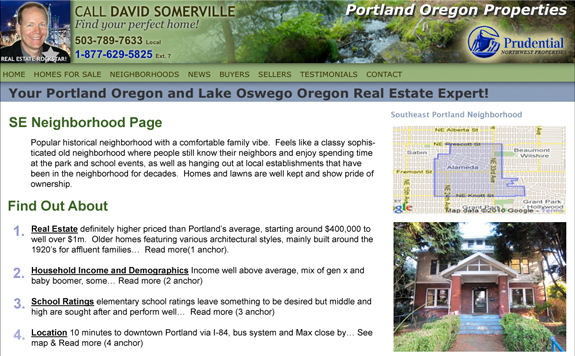 David Somerville has been supporting Portland Oregon's buyers and sellers professionally for over 10 years. 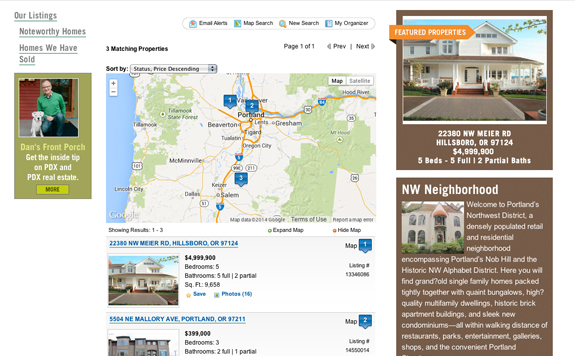 David makes educated decisions that keep clients happy in both the short and long run. 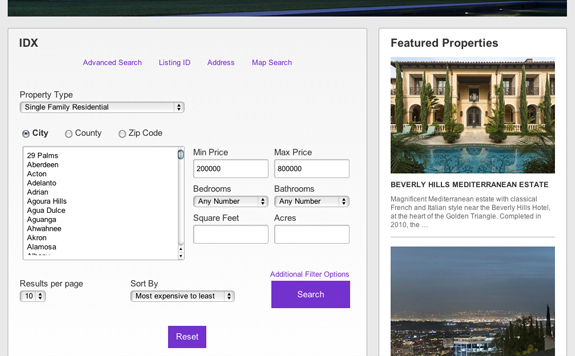 As our housing market evolves, consumers are becoming more tech savvy and benefiting more from support of full-time agents who stay on top of changes. 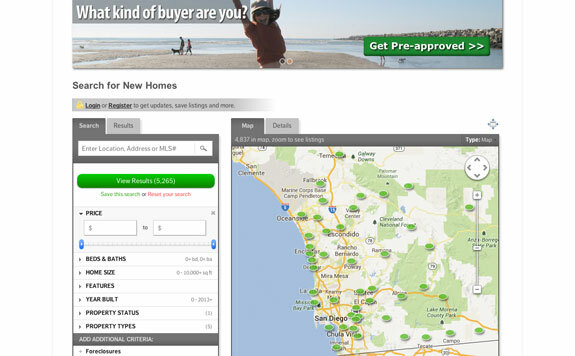 For nearly 40 years, real estate sellers and buyers have depended on Dan. 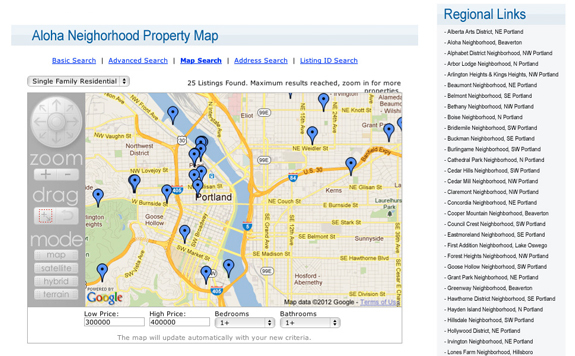 If you’re looking to buy a home in Northwest Portland, you’ll find an incredible number of distinctive houses surrounded by all the modern conveniences of urban living – right on the edge of the largest public forest in an American city. 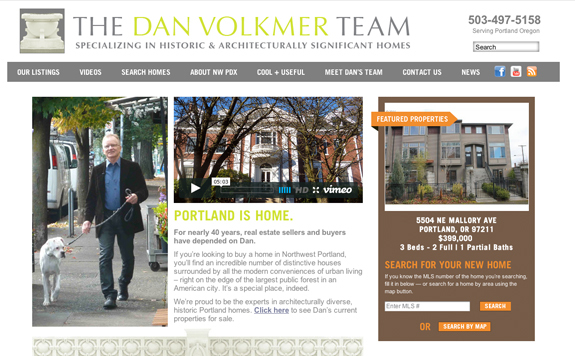 It’s a special place, indeed and Dan Volkmer’s team is proud to be experts in the architecturally diverse, historic Portland homes.